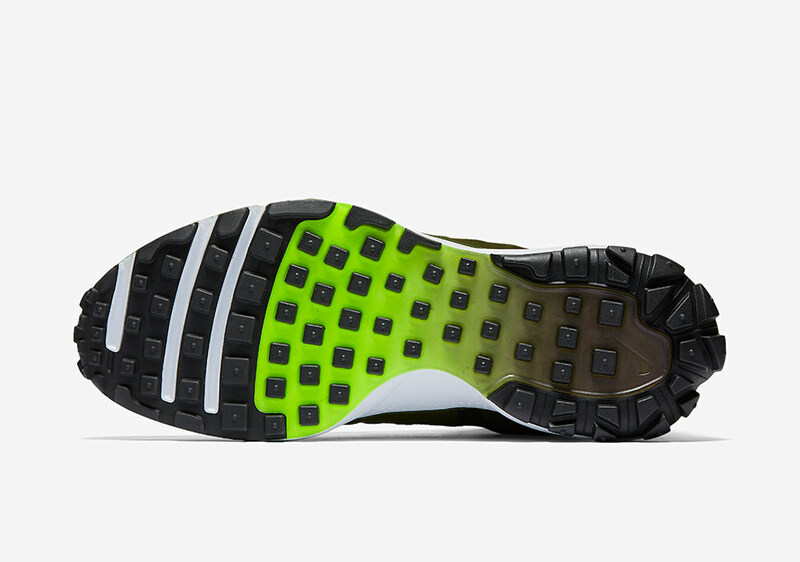 The Nike Air Zoom Talaria was back in true form this summer to the delight of many running shoe collectors across the globe. Indeed a sight for sore eyes for many Talaria fans when it arrived in the iconic neon colorway in March, new colorways kept the masses satisfied throughout the summer. But what happens when it gets too cold and wet outside to rock your favorite runner from 1997? Luckily, Nike Sportswear has you covered with the all-new Talaria Mid Flyknit, the brand’s latest addition to their sneakerboot family. 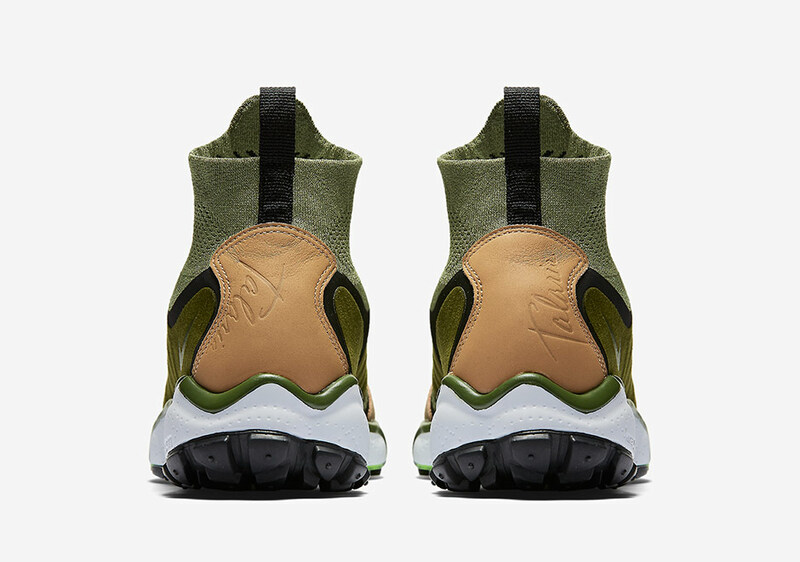 Already dropping in the OG-inspired Volt colorway, this latest option offers a more traditional earthy color palette appropriate for the hiking boot design, featuring a mix of mossy green hues for the Flyknit and suede upper accented with Vachetta Tan leather on the toe and heel. These will be available at select Nike Sportswear retailers soon including nikestore.com.